Just drove by the old haunt (LHS) looks like they haven't taken down the old sciences wing. Wonder if there was too much contamination from some of the "experiments" I still remember the great fish kill of 1962 in the creek. Was great seeing everybody at the reunion and I hope to become more active now on this site. David Kinsey posted a message. Happy Birthday Charlie, these things keep rolling around. And that's GOOD!!! David Kinsey added a comment on his Profile. New comment added. David Kinsey has a birthday today. New comment added. David Kinsey added a comment on his Profile. 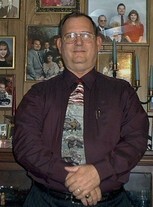 David Kinsey updated his profile. View. David Kinsey changed his profile picture. David Kinsey has left an In Memory comment for his Profile. I was shocked to hear the news about Stephen, he was a friend from even before LHS. We had always kept in touch either through social media or email or even face to face when I went to St. Pete. That was while he was working, lately it was contact during the re-union planning and at the last gathering my wife and I sat and spent some time with Steve. He was always so positive and forward looking. He will be missed by all who knew him and he will be missed by all because of his ability to add something to benefit everybody. David Kinsey has a birthday today. David Kinsey posted a message. New comment added. And another year bites the dust, Happy Birthday Steve, May you have many more!